The David Lynch Foundation is a not-for-profit organization focusing on transcendental meditation. It was founded in 2005 for consciousness-based education and world peace, more specifically to help children anywhere around the world who want to learn about and use transcendental meditation. To accomplish it’s goals, the David Lynch Foundation raises funds and provides grants for the implementation of this scientifically proven stress-reducing modality. The David Lynch Foundation and its founder David Lynch, have continued to expand the reach of the foundation to help people with all types of needs, thrive through meditation, helping thousands of under-served students, veterans and active-duty military struggling with post-traumatic stress disorder as well as families, women and girls who are victims of violence and abuse. One of the people whose lives have been dramatically impacted by the implementation of transcendental meditation has been Joey Lowenstein, who has been using this type of meditation with his mother Roberta to overcome some of the stress and limitations imposed by Joey’s autism. Joey and Roberta use this mediation every morning. At first, it started with just 5 minutes at at time but as time passed they both increased their time and now they can be in the room together meditating for as many as 20 minutes. Joey loves transcendental meditation now and says that he feels normal when he meditates because, for a change, he is not expected to talk. Transcendental meditation has helped them both and they feel more connected because of it. 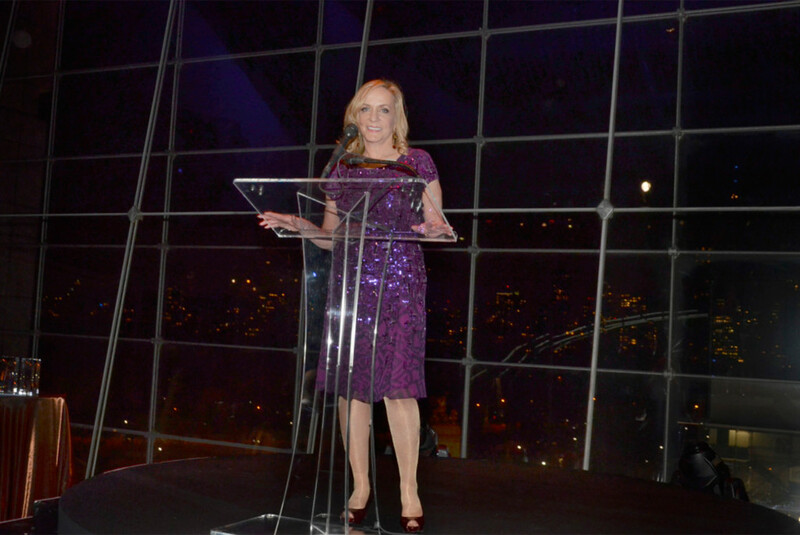 On Thursday, December 13, 2012 at Lincoln Center’s Frederick P. Rose Hall, the David Lynch Foundation hosted a benefit gala to raised funds and awareness to further the foundation’s mission of teaching the Transcendental Meditation technique. Joey, Roberta and The Joey Lowenstein Foundation were delighted to be honored at the DLF gala that focused on the causes and applications of transcendental meditation, including the story of how it has impacted Joey’s life. The award was presented to Roberta Lowenstein by Barry Zito, the world renowned pitcher for the Giants baseball team!! David Lynch and George Stephanopoulos were Gala co-host and they featured Gala performers such as world-class jazz musicians as Herbie Hancock, Wynton Marsalis, Wayne Shorter, Corinne Bailey Rae, Esperanza Spalding, and Terri Lyne Carrington. David Lynch is an Academy Award-nominated film director of such iconic classics as Twin Peaks, Mulholland Drive, Lost Highway, Elephant Man, and Dune. He is the Founder and Chairman of the David Lynch Foundation. Notable attendees included Dr. Mehmet and Lisa Oz (Dr. Oz is a cardiac surgeon, New York Times best-selling author of such titles as You: The Owner’s Manual, and the Emmy Award-winning host of the Dr. Oz Show. Lisa Oz is a producer, actress, and New York Times bestselling author of US: Transforming Ourselves and the Relationships that Matter Most) Ray Dalio, the Founder of Bridgewater Associates, a leading investment management firm and Time Magazine’s top 100 most influential people in the world in 2012) along with a score of jazz talents and legends.